Ioannis from Space Ape Games returns with the final segments of a three part Transformers: Earth Wars series in preparation for the debut of Raid Battles. Tips include how to tackle the Raid bases as an alliance and how to use specific bot abilities to your advantage. Play the clips below, remember to download the game for free from your preferred app store and then join in the discussion on the 2005 boards! Ready to take on giant awesome differences with your Alliance members? Watch for an overview of the brand new Game Mode which is coming to the game this Thursday!! Octone’s design has a real G1 flavour when it comes to the bot form. His ground vehicle form (a fuel tanker) and his flying vehicle form (a heavy cargo plane) are inspired by the toy from the Universe Deluxe Class line. Sandstorm’s design, with two propellers attached to his shoulders, is inspired by the fourth wave of 2012-2013 Generations Voyager Class toys. They are used to propel the VTOL aircraft and are the two back wheels in his dune buggy form. Check out the artwork attached to this post, remember to download the game for free from your preferred app store and then join in the discussion on the 2005 boards! Kabam have delivered their November update to Transformers: Forged to Fight players, and we have a very nice addition to the ranks: Beast Wars Scorponok. 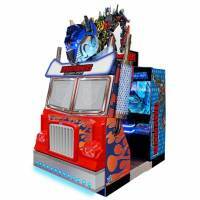 Scorponok is already available to be added into your ranks of playable characters since November 1st. Scorponok is coming in a fresh design, not so organic as we saw in the Beast Wars cartoon but sure cool and menacing. Transformers Earth Wars Update – Sentius Twins Incoming! The fine folks over at Transformers Earth Wars have dropped us a line to let us know about two new additions to the game. Read on below to check the details and the announcement trailer! On September 14th, Hasbro Inc. will add two new characters to the Transformers universe; say hello to the SENTIUS TWINS, SENTIUS MAGNUS and SENTIUS MALUS. 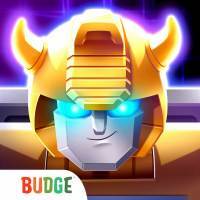 Both characters will make their debut in TRANSFORMERS: EARTH WARS, the award-winning combat strategy mobile game available for free from Space Ape Games and Backflip Studios on the App Store and Google Play. In the early days of Cybertron, the home world of the Transformers bots, SENTIUS NOBILIUS served as an honorable guardian of the relics of the PRIMES, the gods of the Transformers universe. To do this task he was given a sword of legendary power, the SWORD OF BALANCE, a blade with the power of creation and destruction. He was betrayed by one of the PRIMES, who, using his own sword against him, split his spark in two. This destroyed SENTIUS NOBILIUS, but created two new sibling warriors: SENTIUS MAGNUS, the guardian of light, and SENTIUS MALUS, the guardian of darkness. Each of these bots now carries one half of the sword, which was split. SENTIUS MAGNUS now fights for the Autobots, and SENTIUS MALUS for the Decepticons. Fans can get a sneak-peek at both characters by checking out today’s announcement trailer. 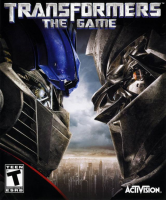 YouTube channel GameHut has shared a video of Activision’s Transformers Movie 2007 video game, showing Beta Builds And Deleted Levels for the first time. Apparently, the build showed is dated as far back as November 2006, and shows some interesting WIP work on the levels and character models. including the deleted Exterior Hoover Dam section and much larger Cybertron area. A very nice video indeed for any Transfan and Gamer. You can watch the video below (it starts at minute 12:00) and then share your impressions on the 2005 Boards!